Free up valuable desk or table space by wall-mounting your flat-panel display (TV or computer monitor). This full-motion monitor arm supports monitors and TVs up to 30” and provides effortless height and viewing angle adjustments. You can tilt, swivel, and rotate your screen, making it easy to find the perfect viewing position. 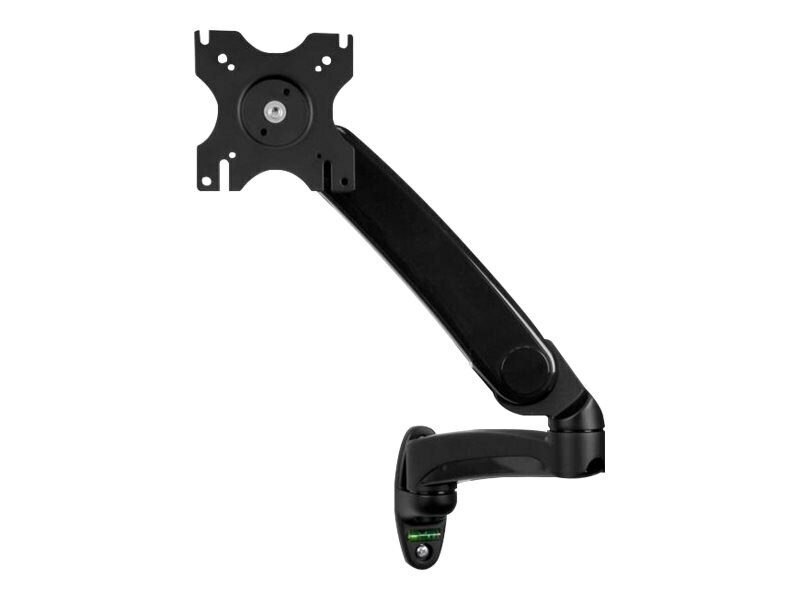 This sturdy mounting arm helps you save space on your desk or table surface, by letting you securely wall-mount a computer monitor or flat-screen TV, up to 30” in size. It’s ideal for many different office applications, such as healthcare or financial settings, where you may want to share your display with patients, clients, or other visitors. The wall-mountable monitor arm also works well in office settings or workspaces that back against a wall. Mount your monitor on a wall to save space. Supports 12” to 30” flat-panel displays (LCD, LED and plasma TVs and computer monitors). Tucks in closely to the wall when not in use. Full-motion, articulating arm lets you collaborate easily, by adjusting your monitor's viewing angle to share with others. One-touch height adjustment with gas-spring arm. Easy monitor attachment and removal. Simple DIY installation with built-in level. 75x75mm, 100x100mm VESA mounting pattern. Max weight capacity of 19.9 lbs.